AR Content at any scale, in any place, accessible whenever you want it to be! AR content offer us the possibility of adding interactive elements to your projects, products, and brand. We can create anything from 2D animations to immersive 3D models, turning your work into an unforgettable immersive experience. From brands to art and design, AR content is redefining how we perceive the world around us! We can turn something as simple as your logo into an eye popping interactive model, hyperlink it to online resources, and turn any image into the start of an experience created around your work and brand. There is no limit to how much content can be programmed into a single target image! The presentation of furniture items on a catalog is usually a combination of a photograph or rendering, and a series of sectional drawings conveying the different angles of an item. With AR, we can eliminate all these components, and replace them with a single model that users can experience and interact with in real time. Thinking something bigger? We have experience incorporating AR into projects ranging in scale from logos to outdoors murals and spaces. If you feel a wall needs more life, we can activate a façade for you so it becomes a sensory experience for visitors. Are you planning on guiding users through your space? How about a customized AR guide to do that for you! 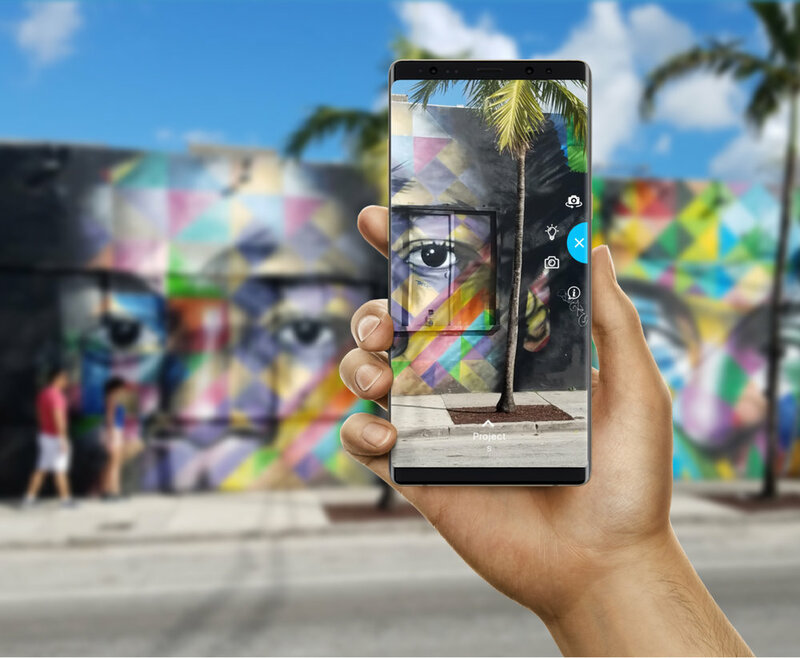 There is amazing potential in integrating AR to print media, turning any printed page or Out of Home campaigns into an interactive experience linking the physical and digital worlds. This link engages the reader/user, and effectively conveys the intended message through a unique experience that establishes the reader as an active user instead of a passive spectator.